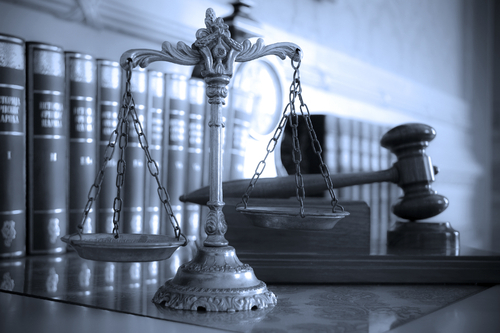 Subrogation in Maryland | How Does It Work? Our plaintiffs’ personal injury lawyers frequently receive calls from defendants who have been involved in auto accidents who do not understand why they are being sued by an insurance company as a result of an auto accident they had that was not their fault. Most people involved in an auto accident in Maryland do not realize that if they do not have auto insurance and the accident is their fault, the other party’s insurance company can sue them for the money it paid out in property damage. 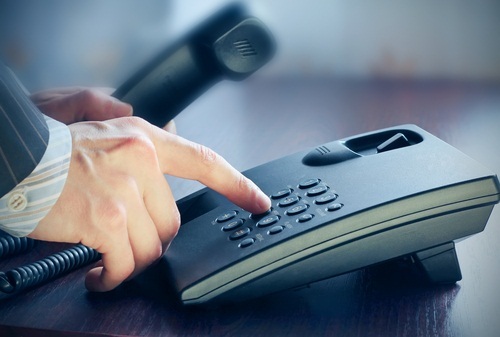 Many of these callers are surprised when, years later, they receive suit papers for an auto or truck accident in which no one sustained a personal injury, yet they are being sued for thousands of dollars, either for property damage or for medical bills paid by an insurance company. 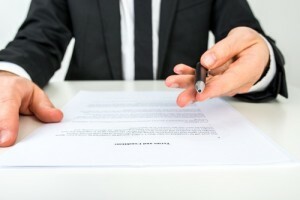 The insurance company is exercising its right to subrogation, which literally means the insurance company is substituting itself for the actual party involved in the auto accident and collecting the money for the damage done to that individual’s property (for which they have already paid pursuant to their insurance contract with that person). How is his possible? 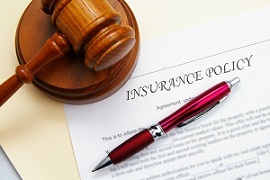 The insurance company is exercising its right to subrogation, which literally means the insurance company is substituting itself for the actual party involved in the auto accident and collecting the money for the damage done to that individual’s property (for which they have already paid pursuant to their insurance contract with that person). New 4th Circuit Opinion | Did Doctor Lie for Disability Policy? 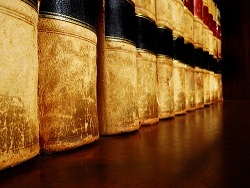 The Fourth Circuit decided a case that addresses an interesting insurance law question; while also touching on another issue that vexes medical malpractice lawyers in Maryland. The 4th Circuit overruled a great judge, Federal Magistrate Jillyn K. Schulze, who awarded summary judgment against a suspended surgeon for making a disability claim. While cursed with a boring name, Certain Underwriters at Lloyd’s, London v. Cohen, is a case that has some interesting facts. The Plaintiffs are underwriters at Lloyd’s of London. The defendant was a general surgeon in Bethesda, who was suspended for three months from practicing medicine in Maryland, because he violated the standard of care, kept inadequate medical records and grossly over-utilized health care services. I’m not sure of all the details, but they are pretty strong allegations against a surgeon. Anyway, the insurers wanted to rescind a disability policy, because the doctor made material misrepresentations on a disability policy, which he later sought benefits. I have taught insurance law for the last 17 years at the University of Baltimore Law School. I think it is important to explain both the hornbook majority view and Maryland law. Typically, what I’m saying is that the majority view is this balanced reasonable law… and then there is Maryland law which seems to bend over backwards to favor insurance companies. There is a political element to this. Maryland insurance law is stunningly conservative. Paul Ryan himself probably vigorously approves. Yet Maryland is an extremely liberal state. Sure, we went through that crazy college experimentation-like phase with Bob Ehrlich but we have consistently picked liberal governors and have consistently had a solid liberal majority in the Maryland General Assembly. So why are we the Rush Limbaugh of insurance? It’s been a bit since I’ve written about how awful insurance companies’ first settlement offers are in serious injury cases. But I’m sure I’ve given a client the speech in the last 24 hours. I do it all the time. The primary reason the first offer is usually far from the true settlement value of the case is that the insurance company is giving a gut check to the plaintiff, implicitly asking them whether they are willing to throw some punches to get the money they are entitled to get. Plaintiffs’ lawyers complain about this as if it is some sort of holy war between good and evil, as if insurance companies have some sort of moral obligation to offer the trial value to settle the case. I hate insurance companies and all, but I have to admit that if I were them, I would do the exact same thing. Their job is to make a profit for their shareholders, not offer third party plaintiffs what the insurance company really thinks the claims are worth. The game is the game. But there is another reason the first settlement offer is wildly out of line with the true value of the case: most insurance adjusters are lazy (as are most plaintiffs’ lawyers, by the way). To get to the real value of a case, you have to peel that onion again and again. So they take just a cursory look at the case, knowing that even if the settlement offer is rejected, they have multiple more bites of the apple down the road. So think about it, what would you do if you were an adjuster in that environment? Dig real deep and risk that someone auditing your cases is going to say you overpaid for it? Or just kick the can down the road a little while? With GEICO and a lot of other insurance companies, you are not even kicking that can to yourself, another adjuster will get the file after suit has been filed. Among the major insurance companies, State Farm and Allstate are the two that will often stick their feet into concrete on what they think the value of the case is. They tend to stick to their early values more than the others, probably because they rely on computer generated data to value claims more then many others. Why is this? Ever read or hear about the Checklist Manifesto? The idea of that book is that ER doctors looking at cardiac patients are better off using a checklist to evaluate risk of a heart attack or stroke then they are using their own independent judgment. Sounds crazy but some data seems to bear it out that you would be better off with a nurse with a checklist than an experienced board certified cardiologist in a lot of cases. An adjuster with Selective Insurance called this week to ask to meet at my office to discuss the settlement of a personal injury car accident case. She said that Selective is looking to meet with counsel as much as possible to discuss these claims. Selective is a regionally based insurance company that does business in 22 states and is around 46th in market share in Maryland. I’m surprised they would want to dedicate the resources to a face-to-face meeting, but I do appreciate the sentiment. I mean, they will probably offer half of what the case is worth, but I bet they are a lot nicer about it in person. State Farm used to invite us to its yearly Settlement Day where we would traipse down to their offices in Owings Mills for some food and drink for the exact same awful offers they would have given me on the phone. For reasons that escape me not in the slightest , they have stopped inviting me. Actually, I don’t think they do it anymore, but I prefer the more conspiratorial version. I just hung up with an Allstate adjuster. At fault carrier (Safeco) put up 50,000 so we turn to the UM carrier for the additional $50,000. She offers $2,500 on top of the $50,000. She said something to the effect of, “There is only $50,000 left so what incentive do we have to offer that anyway?” When I reminded her of the fact that she just committed an offense that the Maryland Insurance Commission would certainly fine Allstate for, she quickly backed down. I’ve defended Allstate in the past arguing that they are comparatively not as bad as everyone says. I’ve made flowery, loving statements like, “in spite of Allstate’s reputation, our Maryland accident lawyers [geez, that’s a painful use of keywords to pander to Google, I have to fix that] do not see Allstate as the most difficult car insurance company to deal with in Maryland.” I even said once that I thought GEICO was worse. I take all of that back. Realizing I was getting nowhere, I said, “Look, there is not a lot of money at stake, why don’t we just agree to arbitration.” She categorically dismissed the idea. Why? The Oliver Stone in me thinks it is because they want the client to have to spend money on experts and preparing the case, in part to induce settlement, but in part out of spite. Keep in mind, this is their own policyholder. As I mentioned last week, I’m pretty excited about our law firm’s win in Buckley v. Brethren Mutual. I think this is an important case for two reasons. First, it shows that the Maryland Court of Special Appeals respects the real intent of Maryland’s statutory scheme for uninsured motorist claims. Sometimes it is easy to miss the federal court opinions that involve car crash cases because you just do not expect to see them there. Probably 1% of the car accident cases that we handle end up in federal court – although probably 20% of our truck accident cases get removed to federal court. Anyway, you are paying me for a reason; I just found an interesting bad faith claim decided last week – Hughes v. Progressive – involving our friends at Progressive. It is a interesting case with a bad outcome that may very well show up on my students’ Insurance Law exam in December. Plaintiff is broadsided by another car, driven by the defendant (insured by Progressive Insurance and later ends up being plaintiff’s use plaintiff). 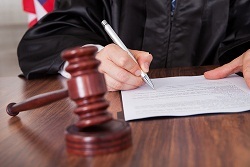 Plaintiff files suit against the defendant in state court in Baltimore City. Plaintiff also sues GEICO for uninsured – really underinsured – motorist coverage benefits. Defendant had a $100,000 per accident policy with Progressive which, sadly, is the Cadillac of Progressive’s policies. Progressive does exactly what I always complain that Progressive does: they jerk you around, refusing to settle the case by offering its policy limits, and then finally tendering the limits after talking tough for a year. It must be in their adjuster’s manual. Progressive sent out a pay-to-play letter (learn more here) to GEICO, who did not respond within 60 days after receipt of notice as required by Maryland insurance law (§ 19-511) if it wishes to retain its subrogation rights. But, somehow, GEICO later claimed it had responded by email. The Baltimore City trial court found that the email amounted to proper notice as a matter of law under §19-511. I wrote a blog post last month with the antagonizing title “Insurance Adjusters Say the Silliest Things,” discussing an article written by one insurance claims adjuster that seemingly fell into the worst stereotypes of adjusters. The post was recently picked up by an insurance claims journal (which I have since not been able to find) which I though led to a few interesting comments from other plaintiffs’ lawyers and a few insurance adjusters. One, inexplicably, contends that insurance claims adjusters are people too. Did you know State Farm has a blog? They don’t call it a blog. Instead, it is a learning center that educates consumers with “articles, discussions, videos, and financial calculators to help you make informed decisions” about car insurance, what to do after an accident, and so forth. You know how these things generally read. One recent post is on “How to Handle Parking Lot Accidents.” There is not one piece of information you could not figure out on your own if you have a 6th grade education or equivalent experience. But whatever, I have a few things like that on our website, too. The fender bender you were just in appears to be minor. No one looks injured and there is minimal damage to the vehicles. First breathe a sigh of relief – then take these precautions to help prevent your small accident from becoming a big problem. Do stay at the scene and move your vehicle to a safe place out of traffic even if there appears to be no damage. If the other car is parked and the owner isn’t around, leave a note with your name and contact information. Don’t assume there aren’t injuries. Do assess yourself and your passengers. Even low-impact collisions can cause injuries, some not appearing until days after the accident. Don’t sign any documents and avoid accepting or offering cash for repairs. You may end up paying out-of-pocket to repair damage to your car that only appears minor, or you could pay the other driver more than necessary. Do stay calm. Take notes and photos, and exchange information with the other driver, including your name, address, phone number, driver’s license number, license plate number, insurance company, and policy number. Don’t assume an accident is too minor to be reported. Do call the police or file a report on your own. This will help your insurance agent handle your claim. An accident report could also help protect you from issues that may arise later about the extent of damage to your vehicle or injuries to you and the other driver. Don’t forget to notify your State Farm agent. Do discuss your options for handling potential claims. The State Farm Pocket Agent smartphone app makes it easy to capture the essential details of an accident. Pocket Agent can help you diagram the accident scene, record witnesses’ names and numbers, contact your agent, and even locate nearby repair shops. You might not notice the injuries until DAYS after the accident? I’m not even sure I would support the theory that it happens regularly, although I suspect it does happen. I also don’t think it is incredibly controversial to say that people can get hurt in low impact car accidents. People can die in relatively low impact accidents, according to science and physics. So it is not a leap of faith to suggest that sometimes, albeit rare, people get hurt in low impact vehicle accidents.